Graculus: I'm going to archive this cache as the cache owner hasn't responded to the reviewer note and also because the container is clearly damaged. St Mawes#1 "Captain Jack's Hidey Hole"
You may just need the the hints for this. The proximity of buildings blocking your GPS will make this tough ! Here's two bits of advice though: If your under 5' bring a taller friend and you'll need the ability to go down a flight of steps ! The Cache is a small grey container with log book, pencil and sharpener. Captain Jack is after top quality booty and hates shells ! St. Mawes, is a pretty harbourside village that looks out over the River Fal towards the busy maritime town of Falmouth. The dramatic Cornish coastline around St. Mawes was used as the setting for the popular television series Poldark. This is very much a sea faring community, with boats and yachts continually setting anchor in the calm waters just beyond the main harbour. St. Mawes' sheltered location creates a a safe anchorage with easy access to the coast, the Fal and the Carricks Roads - (a large waterway created after the Ice age from an ancient valley which flooded as the melt waters caused the sea level to rise dramatically -creating an immense natural harbour, the world's third largest, which is navigable from Falmouth to Truro). The village has two very good beaches,on either side of the harbour, both beaches are excellent for swimming and benefit from a southerly aspect - making them ideal for sunbathing. 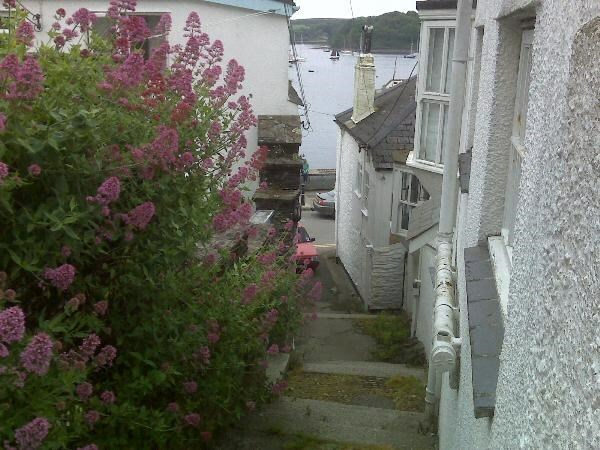 St. Mawes has several shops, a bank, cafes and hotels around the harbour as well as a Sailing Club. Tennis courts can be hired in the recreation ground nearby. Ferries leave the main harbour at regular intervals - taking people on the short trip across the Percuil River or across the Fal to the busy town of Falmouth. The area also includes part of the coastal footpath and visitors can enjoy many lovely coastal and inland walks. Snpvat gur frn ng gur gbc, jnyx qbja gur svefg frg bs fgrcf, 1.5 zrgref shegure, 2z hc ba lbhe yrsg ba gur pbeare.